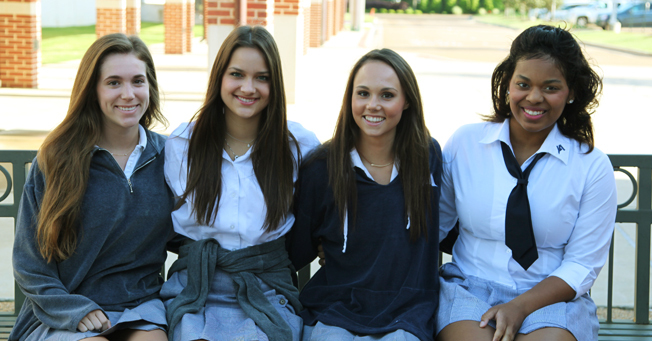 The Jackson Academy Upper School newspaper and staff members were recognized for excellence in the 2014 Mississippi Scholastic Press Association Competition through the University of Mississippi’s Meek School of Journalism and New Media. Receiving awards were (from left) Price Waltman – honorable mention in entertainment writing, Caroline Duncan – first place in advertising design, Elizabeth Hannon – second place in advertising design, Ally Robinson – third place in page design. The JA Chronicle was named third place in the best newspaper division.